Marketing your business has become more difficult every year. In the past, you could advertise on TV, newspapers, or radio; and you could be certain that you were reaching most of your customers and potential customers. Not anymore. The number of people canceling their cable continues to rise every day. They are switching to Netflix, Hulu, and Amazon Prime among others. Many are turning to streaming music via services similar to Spotify and Pandora. And let’s not even get started talking about where people are getting their news. The point is, potential customers are scattered all over the place. How are we supposed to reach them? Fortunately, there is one place where you’ll find most people now-a-days – social media. Guess which social media network has the most users? You guessed it – Facebook does. Audience size: Facebook has over 1.55 billion daily active users. Attention: The average US user spends about 50 minutes on Facebook, Instagram, and Messenger every day. Organic reach decline: Organic reach on Facebook is close to zero for businesses. If you want to reach anyone (including your fans) you have to pay. Targeting: The targeting options within Facebook Ads are so detailed, it’s easy to reach new readers that have never heard of your blog. Go to facebook.com/ads/manager or click the dropdown arrow in the upper-right corner of Facebook and choose “Manage Ads” from the drop-down. Cannot target a specific audience. Cannot create multiple ad variants to test different copy, images or calls to action (CTA). Ads Manager allows you to set up, track and optimize all of your campaigns in one easy interface. Can target a specific audience. Can create tracking pixels for your website to target people who have visited your website. Can run multiple campaigns to test and optimize your ads. For advanced marketers and advertisers. Can build and manage multiple campaigns in bulk. Can create ads across a number of accounts. Text Limit: 90 characters maximum. Any additional characters could be cut off. Link Title Text Limit: 25 character maximum. Image Size: The size of your image depends on your campaign goal. When you create a Facebook ad campaign you must pick a campaign objective. Facebook offer 10 types of objectives to choose from. I suggest you play around with all the different objectives that make sense for your business. If you are a complete newbie at Facebook Ads I recommend you start with the top 3 best performing Facebook ad objectives. Click to create a new ad and choose “Engagement”. Choose one of your Facebook Pages or enter its URL. Easily create up to 6 variations of your ad and test how different images perform. 1,200 x 600 pixels (width and height). You can upload a series of three to seven photos that Facebook will stitch together as a slideshow video. Enter the URL of the page you’d like to promote. Choose if you’d like to show a single image or video in the ad or show multiple images in the ad (up to five). Tip: When selecting Send People to Your Website objective make sure the landing page matches the message of the Facebook Ad. Are there clear Call To Actions? Do the ad and the page feel related? After the video has been selected, you can edit the way the ad appears by customizing the text and buttons. By default, Facebook does not show a button, allowing the ad to focus on purely gaining more video views. You can edit the text that appears above the video. Facebook will generate a unique pixel to add to the header code of your website. This pixel allows Facebook to track who visited your website and what pages they visited. Use this pixel to create Facebook Ad Audiences of people whom have already visited your site. You can also find similar Facebook users to the visitors of your blog with the Audience Look Alike feature. Location: Location allows you to targets users in the country, state, city, or zip code that you service. Each option can be useful, depending on your customers. Age and gender targeting should be based on your existing customers. Check your blog, Google, Facebook or Instagram Analytics to find out your customers’ demographics. If women 25-44 are the bulk of your customers, start out only targeting them. If they prove to be profitable, you can then expand your targeting. When creating an ad, you have two options: broad categories or precise interests. Broad categories include topics like Shopping, Fashion, and Engaged. Broad interests may seem like an efficient way to reach a large audience. However, these users often cost more and spend less. Avoid using Broad Category targeting. Research which magazines and blogs your customers read, who they follow on Twitter, and which related products they buy. If you use laser-focused interests like these, you’ll reach the people who are most interested in your products or services and the most willing to spend money on it. RECOMMENDED IMAGE SIZE The recommended image size is 1080×1080 pixels. At minimum, square images should measure 600×600 pixels, while landscape images should measure 600×315 pixels. CAPTION LIMIT Instagram recommends your caption be 125 characters or fewer. However, it may be up to 2,200 characters. Create Buyer Personas and a specific call to action for each of them. Don’t allocate too small of a budget (best is at least $5 per ad, typically). Don’t use low-quality images, generic stock photography, or any images that you don’t have the rights to use. Images of people work best – preferably their faces. Regardless of the age or demographics of the audience you’re targeting, don’t assume that they’re scanning through a laptop Facebook feed. The vast majority of Facebook users are on mobile apps, and many of your ad sets may never get a click from desktop users. That’s it! 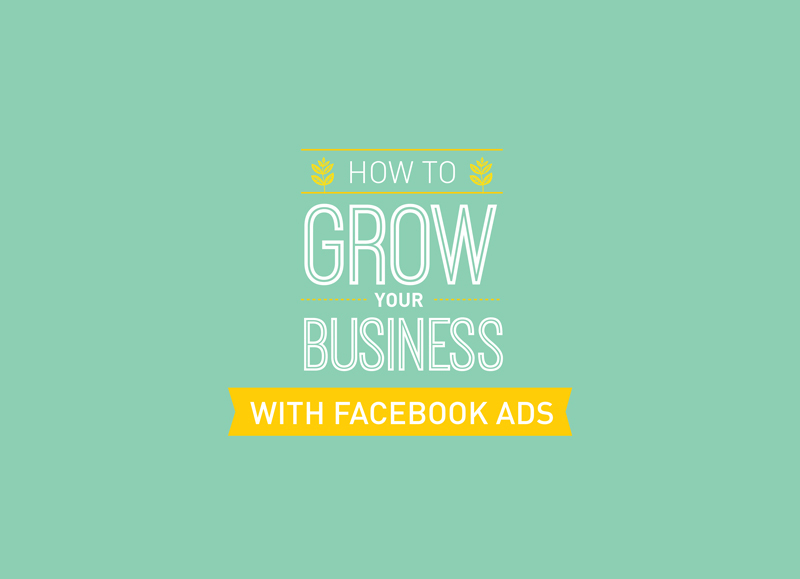 Now get started on your Facebook Ad campaign and grow your brand!